News from LMCU: Book your night with the Griffins! Book your night with the Griffins! If you’ve got a hockey lover on your holiday gift-giving list, they’ll love LMCU’s 11th annual Night With the Griffins event. This year, it’s the 2013 Calder Cup champion Grand Rapids Griffins versus the San Antonio Rampage on Saturday, February 15 at 7:00 p.m. Tickets are $11 for upper bowl seats and $15 for lower bowl. 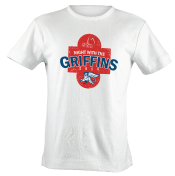 Each game ticket also includes a free $3 food voucher and a free LMCU-Griffins t-shirt! Tickets are on sale now at all LMCU branches.